What will it take to shake them awake? 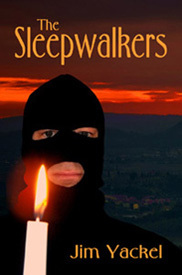 A diverse demographic and culture of sleepwalkers live a life of alcoholism, drug use, lotto, computer games, smartphones – and in many cases opulence and haughty self-anointing. But the single thread that ties these various demographic groups together is their ignorance to the collapsing economy and world around them. As the year 2013 winds down, there is a darkness that is sweeping America and the world, and these individuals are collectively blinded to it by self-medication and by The Powers That Be through the entertainment and mainstream news media. The darkness is as much supernatural as natural, and seemingly only a few watchmen can see it coming.